Please Credit Photo: Pilin Anice. Photo Courtesy of Pilin Anice. Pilin Anice is a dance and yoga instructor, performing artist, and model. Pilin is passionate about helping others tune into their highest self by improving their health and wellbeing. From universities to community organizations, she has guided students of all ages in the sacred movements of yoga and dance through a range of workshops and classes. 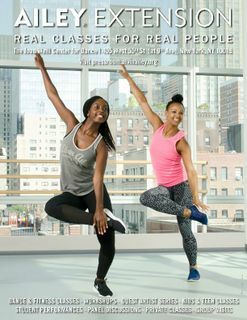 She has been featured on Good Morning America, The Today Show, BET/CentricTV, and YogaXpress. Pilin is a 300 Hour RYT with training from Reflections Yoga and Kripalu. She is also certified in holistic nutrition as well as Thai Massage Therapy. For over 14 years, she has studied with masters of West African dance, Duhnam Technique, and African Diasporic dances of Haiti, Cuba, and Brazil. 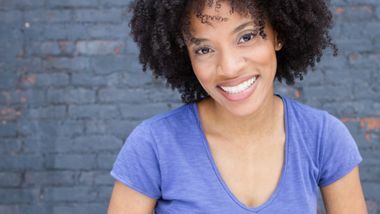 Her passion for yoga and dance lead her to become a certified Afro Flow Yoga® instructor, which she has taught in the US and abroad, and offers biweekly classes at the Ailey Extension in NYC. Now, I’m totally hooked on the flow. I consider myself a person that’s pretty invested in exercising—I pay for a gym membership and actually use it, and I’ve started to enjoy running outdoors now that I’ve found a few favorite sneakers and sports bras that make me feel secure. But like many people, I have a hard time getting active when it’s cold out. Between the months of December and March, I tend to go into workout hibernation. I’d just rather stay in my apartment and Netflix and chill (literally) than swing a kettlebell. Afro flow yoga infuses traditional yoga and African dance to get you up and moving, allowing you to stretch and dance off calories.